CICS JS/Server expedites the creation, management and operation of modern CICS Web Applications. CICS JS/Server can be configured to serve bespoke content. Novel CICS web applications can be constructed, managed and served by the software. Bespoke content can be served by CICS JS/Server. The content of any document template defined to the CICS region in which CICS JS/Server is configured can be served by the software. This includes toolkit plugins, images, css and txt files etc. 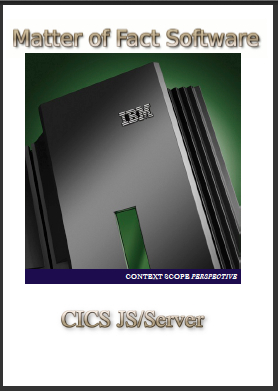 Novel CICS Web Applications can be constructed, managed and served using CICS JS/Server. View Podcast 3 on the Podcasts Tab to understand how this works.